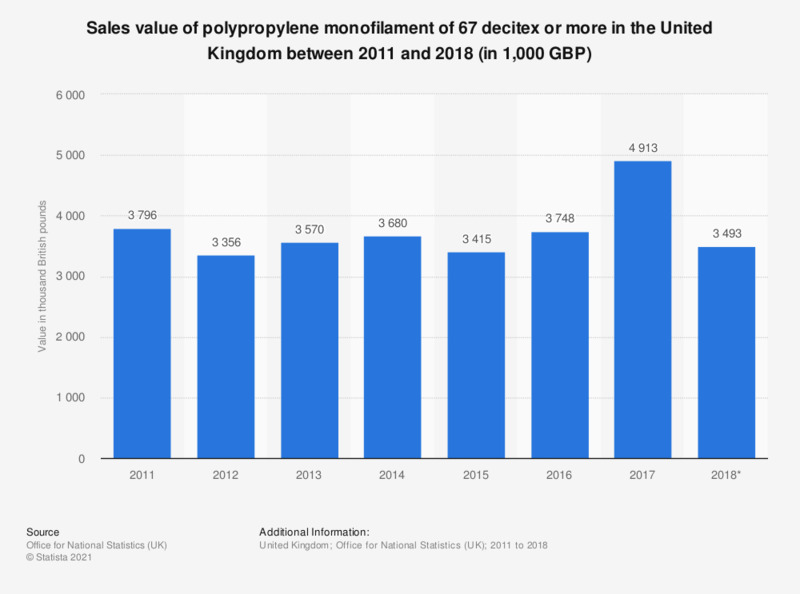 This statistic shows the sales value of polypropylene monofilament of 67 decitex or more based on PRODCOM estimates** in the United Kingdom (UK) between 2010 and 2017. The UK experienced an increase in sales value over this period. The sales value reached nearly 4.9 million British pounds in 2017. Polypropylene monofilament of 67 decitex or more and of which no cross-sectional dimension exceeds 1mm excluding elastomers.